Once you've successfully port forwarded through your router, you may want to use a VPN service ( Torguard, IPVanish, NordVPN etc), to hide and encrypt your server. If you use Torguard, this will show you how to set that up. Not all VPN services allow port forwarding. If you don't already have a Torguard account and you want to try this, I suggest you maybe try a month subscription, first. Be sure it's what you want. You need to choose the IP you want to use. You need to have a specific IP instead of using one of their hosts (numbers, not words). The IP addresses are SOCKS5 proxies. Just like forwarding through you router, you'll be using Torguard's IP with your chosen port. CLICK HERE for a list of Torguard's IP addresses. Scroll down until you see SOCKS5, and choose the IP you want to use. Now you'll need to forward your server port through Torguard, using the IP you've chosen. Log in to your account, and click on services --> my services. Then you can click manage --> request port forward. On the right you need to enter the VPN server address (SOCKS5) you chose to use. Choose your protocol and Port/Auth, and submit. Remember what you've entered, here. You'll need it for the Torguard app when you configure it. Next, you'll need to configure the Torguard app. CLICK HERE for instructions on how to do that. Once completed, launch the Torguard app on your server machine. Open the server dashboard, and check your 'Remote (WAN) address'. 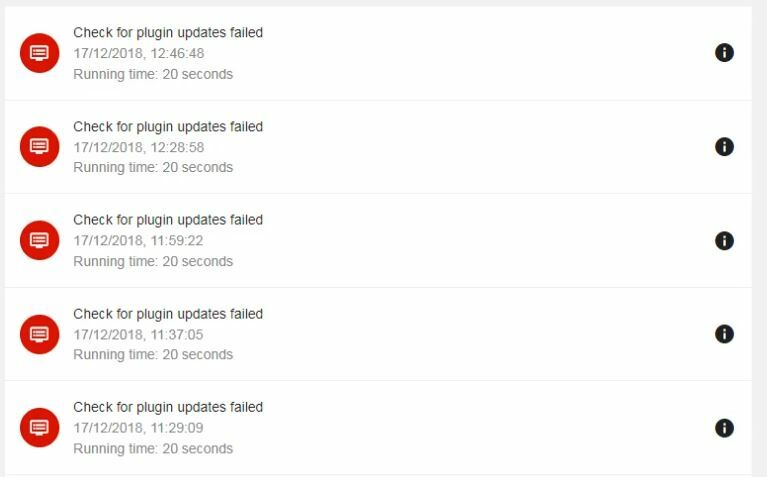 Emby Connect will take a few minutes to register the new IP. You can check by refreshing the web page. Restarting the server will speed this up. 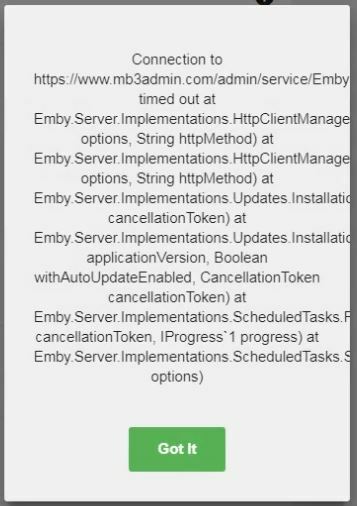 Once the address is showing the new IP, check that your server is still linked to Emby Connect. Re-link, if needed. Edited by Doofus, 12 January 2019 - 06:35 PM. Thanks @ Doofus for this! Question: do you need to purchase the dedicated IP option for this to work, or does the port forwarding function fine with the "shared static IP" that comes included in their standard price? Also, you mention NordVPN which is one of my other considerations. Both of them come recommended for use with Emby and reportedly work with P2P. You don't need the static IP. When I compared Nord to TG, TG had many more servers. That was why I stayed with TG. They've been a great service. They respond pretty quickly to any questions I've had. Thanks so much! I am also assuming Torguard is good for P2P since they advertise it as such - for all my legal sharing of non-copywrited files with colleagues, of course! Yup! It's a great service. When it comes to securing my server, does Torgaurd handle the majority of it, or do i still need to create my own SSL for emby. It encrypts all outgoing info. Double encrypts, actually. Good to hear, ill be taking a closer look at this over the next few days. Thanks for the help! How do I portforward from ipvanish to my emby server. Ipvanish wont provide static addresses. Edited by M3mill, 21 June 2018 - 10:22 AM. I just looked and I dont belive so which vpn is best for this? I want to go with one I will be able to use. Well, I've used Torguard. I don't know which others allow port forwarding. Ok thanks. Will this allow me to mask my ip location of emby server and still allow emby connect usage for my family to use it on the go away from server location? Yes. You will run the client on the server machine. That will encrypt all outgoing traffic and run through a proxy. The package you want is the Anonymous VPN. If you read this thread, you'll have a better understanding. On the right you need to enter the VPN server address (SOCKS5) you want to use. Server addresses found here. Choose your protocol and Port/Auth, and submit. Remember what you've entered, here. You'll need it for the TG client. Once completed, launch the client on your server machine. Sorry to bring up an old thread but I signed up for TorGuard after finding your recommendation. Did you have to manually sign into the ip given by your isp the first time after activating the VPN? Im wondering if I am missing something because on all of my devices, Emby Connect can't find the server until I manually connect to it using my ip. Afterwards everything seems to work ok. The problem will be if my isp IP address changes and I don't notice it (I use Emby remotely a lot). You connect using the IP on the dashboard. Which should be the IP you chose when port forwarding through Torguard. I can't get this to work either. I've followed the instructions at the top of this thread and have port forwarding set up in my TorGuard account. I've installed the local client and entered the settings as instructed (as per my port forward activation email). I've allowed connections on port 8096 to be forwarded to my server on the router settings, and Emby Dashboard has my VPN IP address listed as the external IP. I can't sign in via Emby Connect nor can I navigate to https://[VPN IP]:[VPN Port], nor https://[VPN IP]:8096, nor https://[Real IP]:8096. I can, however, access it via http://[Real IP]:8096, which I DO NOT want to be able to do.